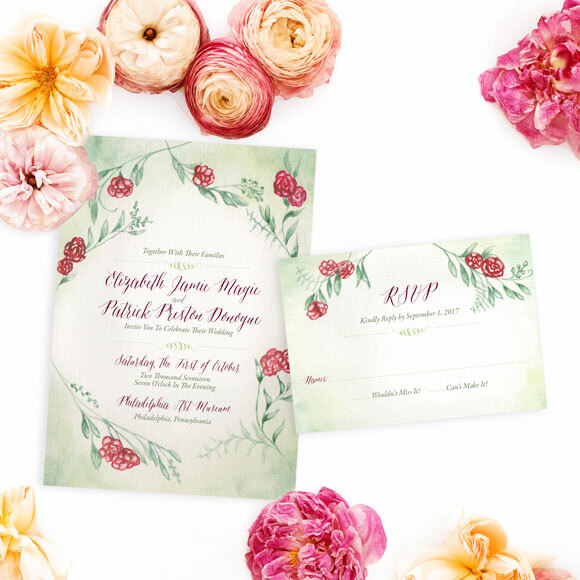 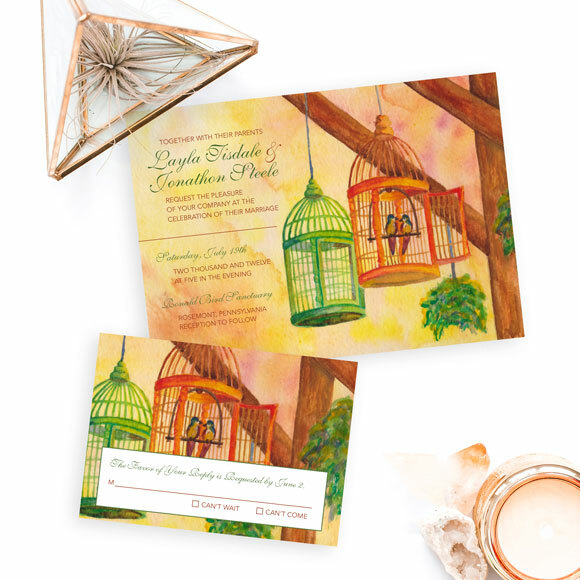 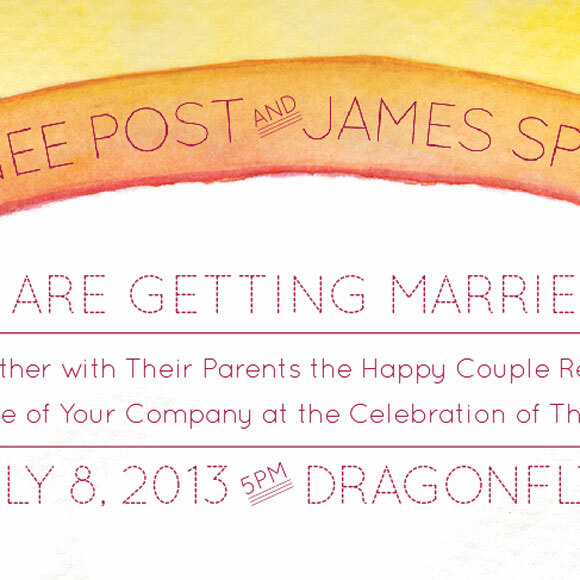 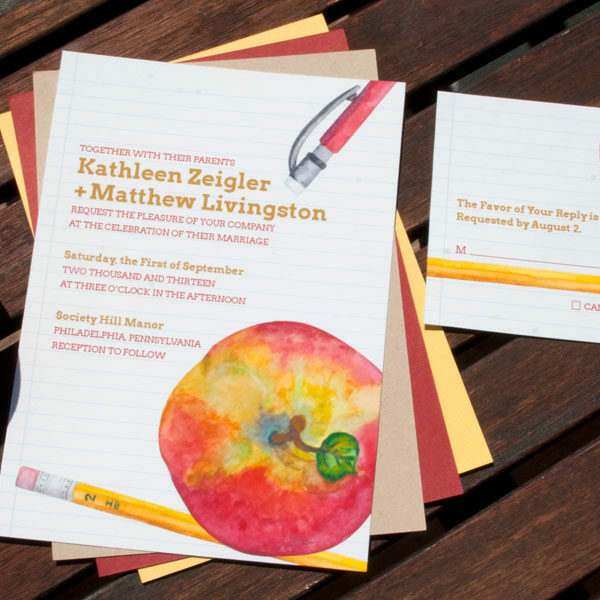 The hand-painted Tandem Bike invitation and RSVP set is bright and joyful. 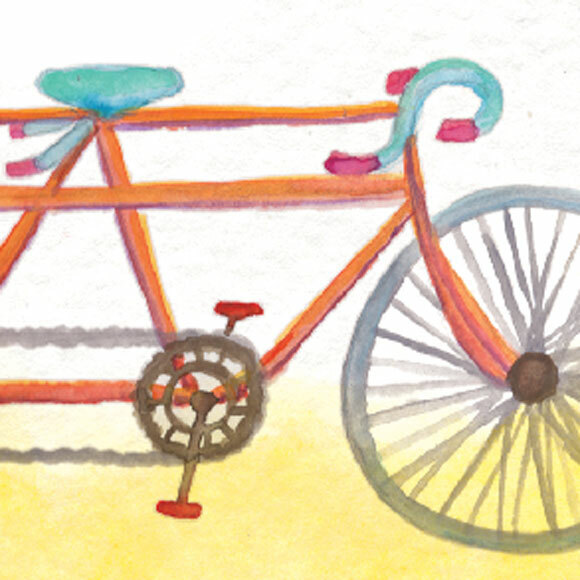 It is perfect for the couple who bikes together! 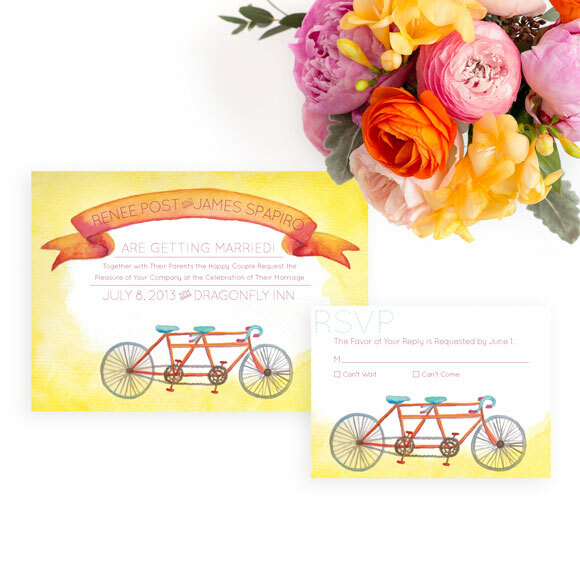 The Tandem Bike theme also cheerfully symbolizes that the happy couple is going places together.